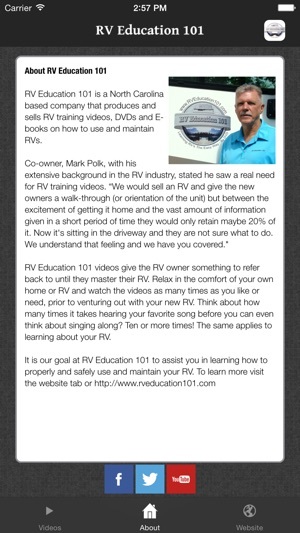 RV Education 101 is the premier online RV training provider, since 1999. 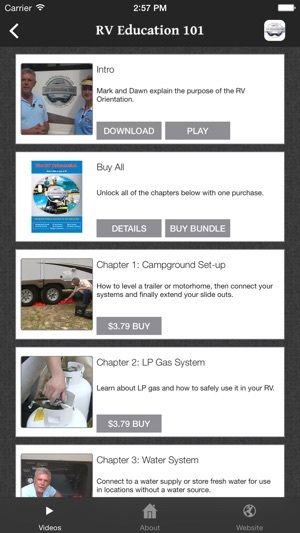 This new RV Education 101 iPhone, iPad, iPod touch App was developed to help teach new and experienced RV owners and RV enthusiasts how to use and maintain their Recreation Vehicle (RV). 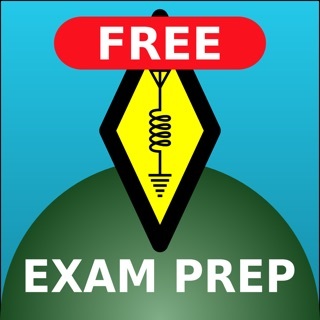 Eight of our most popular RV training videos are available for travel trailer, 5th wheel trailer and motorhome owners to learn about important RV topics like trailer towing, driving a motorhome, RV maintenance, RV safety, RV batteries, winterizing and storing RVs and how to operate the systems on an RV. 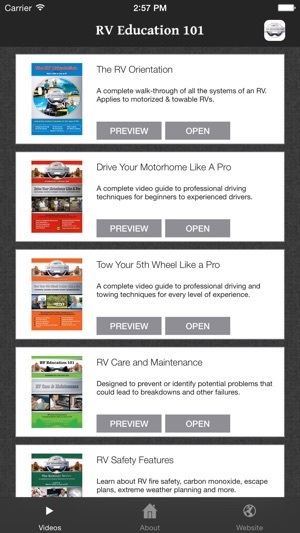 You have the option to purchase full-feature RV training videos, or individual chapters you are interested in learning more about. Our goal at RV Education 101 is to make all of your RV experiences fun, safe and stress free. Buying an RV is exciting and when you pick it up, the only thing on your mind is getting it home and planning that first exciting adventure. Yes, the dealer gave you a walk-through of the unit, (or maybe you bought it from a private owner and had no class) but there was so much information and excitement that it was overwhelming. Now it’s in your driveway and you can’t remember everything that was covered. We understand that feeling and we have you covered. With this kind of thorough visual training, you can now relax and watch the video as many times as it takes to master your RV! I downloaded this app, and its on my iPad and my iPhone. But when you purchase either a book or a chapter, make sure you download onto the actual device you want to view it on, because the purchased downloads do not cross over to your other devices, you have to purchase to download again. So 5 stars for content, 2 for use. So great educational service. Well done! 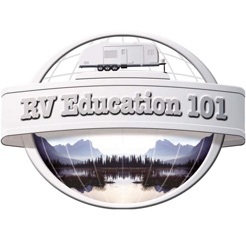 RV Education 101 has en extensive knowledge of the ins and outs of care and proper use for your RV. Because it is a large complex thing to operate, but they break it down and make it simple so you look like a pro. 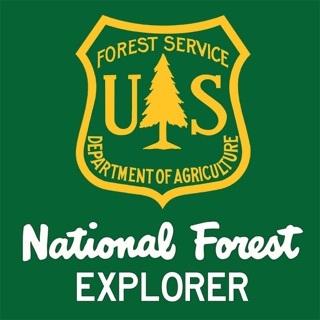 I have referred others with RVs to visit the site (and now app) and they were also impressed by RV Education's expertise and step by step processes the videos provide.